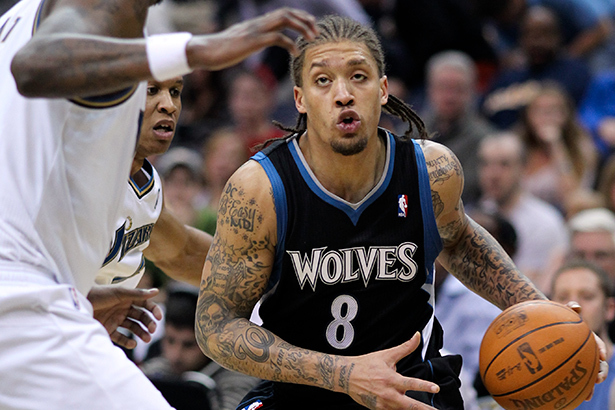 Michael Beasley, the former 2nd pick in the 2008 draft – after Derrick Rose was signed by the New York Knicks to a one year contract. According to the NY Post, the contract is the veteran minimum worth $2,1 million, for players with 9 years of service. Beasley was drafted by the Miami Heat but his career failed to meet the expectations – which were pretty high – and the former Kansas City star moved from team to team, during his career playing for five different NBA teams plus a couple in China between 2014-2016. Last season he played 56 games for the Milwaukee Bucks and averaged 9.4 points, 3.4 rebounds while shooting 53% from the field. With this signing, the Knicks are preparing to revamp the roster, and from the looks of it we can assume that they are not committed in keeping Carmelo Anthony by the start of the season.